If you can come to grips with that, and as long as you don’t mind those other quibbles we mentioned, there’s really nothing stopping the MSI GT70 2PE from being your next favorite gaming companion. It retains all of the strengths of the GT60 model we reviewed last year, but with even more power and a truly ridiculous SSD RAID storage configuration. In short, it’s one of the fastest mobile gaming solutions you’re going to find—and it’s just $2,699. Positive: Powerful performance; good display; good connectivity; decent battery life; good cooling system. Negative: Big and heavy. Positive: Good performance; good speaker; good backlit keyboard; perfect design. Negative: High price. Positive: Excellent performance; robust case; efficient cooling system; good keyboard; SSD; good speakers; good connectivity. Negative: Big and heavy; noisy cooling system; expensive. Positive: Perfect performance; beautiful metal cover. Negative: TN-matrix display; auto-lock touchpad. 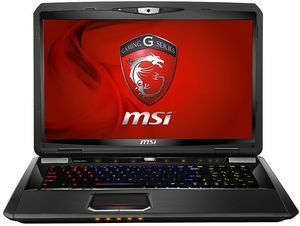 Gamers are sure to be delighted with the release of the MSI GT70 2PE-1051FR Dominator Pro. It utilizes the best graphics chip for laptops out in the market today, the Nvidia GTX 880M. And if that is not enough, with 8 GB RAM paired and Intel Core i7 processor with a turbo clock of up to 3.7 GHz, the MSI Dominator Pro is the definition of a graphical monster. It goes without saying that this mammoth will play all high-end games with the highest setting with ease. Having great graphics alone will not be enough if the screen is not on par. 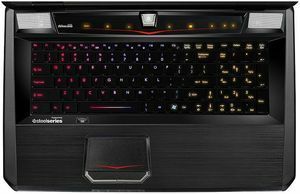 Fortunately, the MSI Dominator Pro has a 17.3 inch display, which is wide enough to enjoy games to its fullest. Thanks to its resolution of 1920 by 1080 pixels, it can display videos and pictures in the best FullHD quality. To top it off, the laptop also comes with a Blu-ray drive. 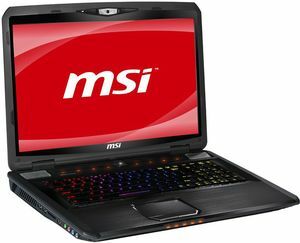 Like other gaming laptops, the main issue is battery life and unfortunately the MSI Dominator Pro is no exception. Housing such powerful hardware under the hood, it is more feasible to keep the laptop connected to a power supply. So, it is not the best choice for a portable device. 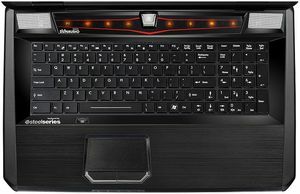 For a gaming laptop, bulkiness and short battery life are to be expected. With such high-end graphics, the MSI Dominator Pro will, without a shadow of a doubt, give you the best gaming experience. 4800MQ: Haswell-based quad-core processor clocked at 2.7 GHz with Turbo Boost support up to 3.7 GHz. Offers an integrated HD Graphics 4600 GPU and a dual channel DDR3 memory controller.» Further information can be found in our Comparison of Mobile Processsors.